Tumbler Ridge doesn’t get much attention since most RVers are laser-focused on the main road to Alaska. But here’s why you shouldn’t miss this spectacular place, an important UNESCO Tumbler Ridge Geopark. 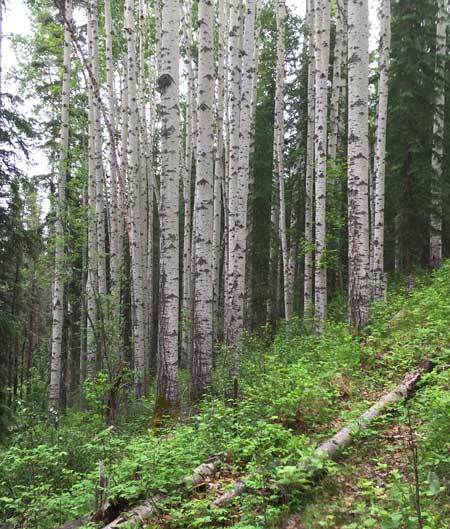 But it was around that time when the people of Tumbler Ridge quickly gained a greater appreciation for the region’s spectacular forests, waterfalls and geological significance. 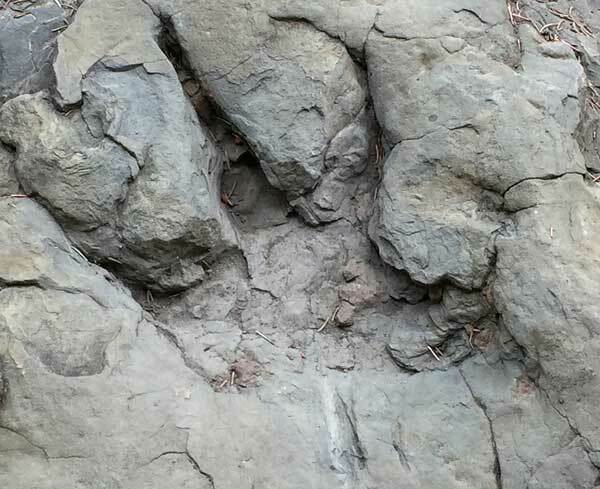 A large amount of dinosaur footprints and bones unearthed around the area also helped. Archaeologists and paleontologists were called in. Soon, more significant remnants of the Jurassic and Ice Age appeared. Today the town has built its tourism base around geeking out on paleontology and geology. Other spectacular Tumbler Ridge features include hiking trails, backcountry camping and many of the tallest, most spectacular waterfalls in all of British Columbia if not North America. Most of these sites are easily accessible by car or foot. Only a few require the help of an expert guide to enjoy them. Tumbler Ridge is a UNESCO Geo Park. A visit to Tumbler Ridge is a trip back in time. Way back. You’ll feel like Chaka, Luke and Holly in the kitschy 1970s TV show “Land of the Lost” once you stand among the area’s thick forests with sky-high waterfalls, take in epic views of the eastern Rocky Mountains and touch visible remnants of prehistoric residents that seem to be everywhere. Monkman RV Park: The only full hookup RV park in town. Nothing fancy, just a large gravel place to park but walking distance to town center and hiking trails. Lions Flatbed Creek Campground: Dry camping only but suitable for larger RVs. Fill up with water at the Tumbler Ridge public dump station before arriving. Tumbler Ridge Golf Course Campground: Spacious electric-only campsites with spectacular views of the Tumbler Ridge golf course. It’s a small town, but Tumbler Ridge has all you need, including one well-stocked grocery store, filling station and post office. There’s so much to see when you’re RVing to Alaska in summer. For most of us, there just isn’t enough time to see it all, but RV road tripping to Tumbler Ridge, British Columbia should definitely be on your Alaska Highway bucket list.